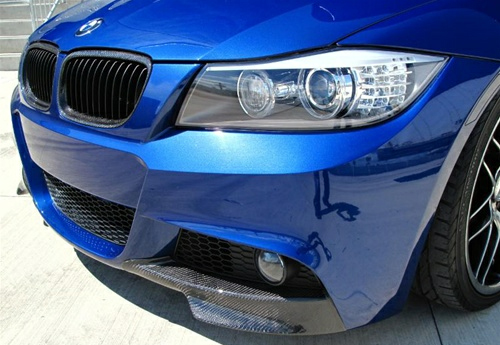 These carbon fiber splitters will give your E90's front end an even sportier appearance by augmenting your existing Mtech E90 LCI front bumper with these aerodynamic splitters. For use with Mtech E90 LCI bumper only. Mtech bumper not included and sold separately. 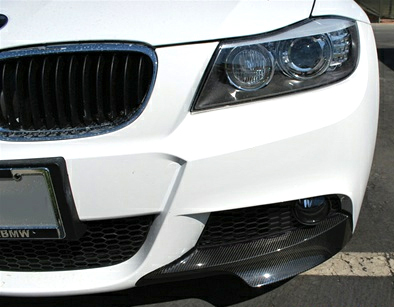 The E90 LCI M-Tech Carbon Fiber Splitters add a subtle, sporty look to the front of your BMW E90 LCI 3-Series. 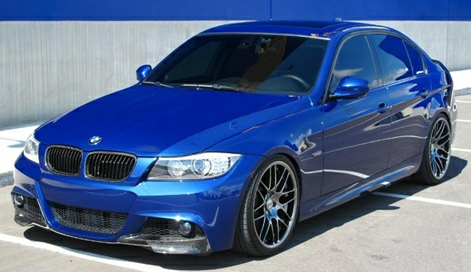 Add a fresh and unique look to the BMW LCI E90 with the E90 LCI M-Tech Carbon Fiber Splitters. These will fit on E90 3-series LCI cars equipped with the M-Tech front bumper. The splitters will add an aggressive, sporty look to your car with an easy to install design. The E90 LCI M-Tech Carbon Fiber Splitters are professionally crafted with high quality carbon fiber that is clear coated and UV protected to ensure that you are getting the best product available.